I have only just discovered Hina Aoyama, a Japanese artist living in France, and am just amazed at her work. 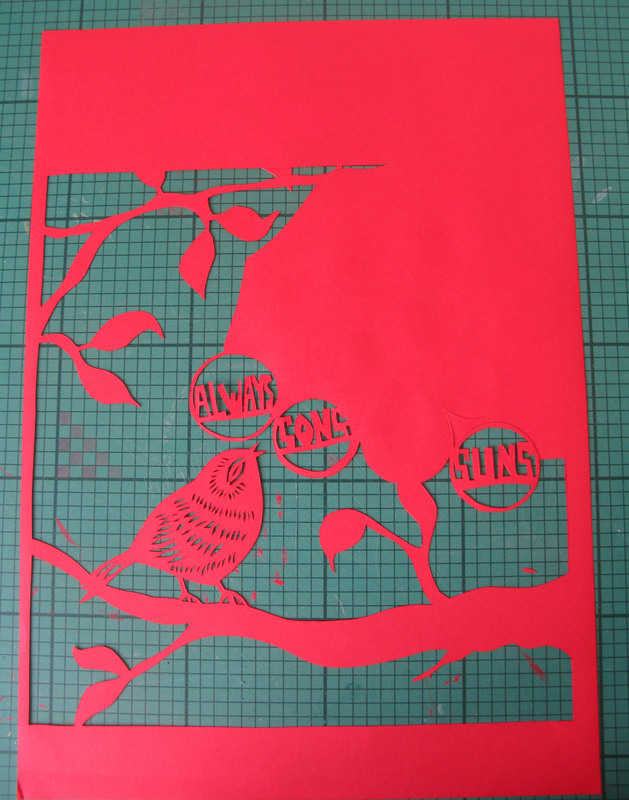 The cuts are so fine and delicate, all cut with a tiny pair of scissors. They exude a certain stillness around them when you look at them – a similar example of what I was talking about last week, how somehow, the energy present in the making of something seems to be retained in the thing itself once made. Here are a couple more..
Another artist that I particularly admire is Beatrice Coron. Beatrice is a French artist, living and working in New York. Much of her work is made from Tyvek, a synthetic material, but she also makes site specific work in other materials such as aluminium. Her work is very different, almost storytelling, picture book like. Dive in here. Dont you just love these little scenes? They are so lively and energetic. 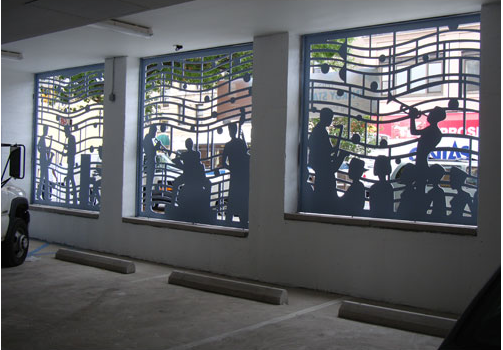 Beatrice was recently involved in an interesting project, to create a series of decorative arts in metal, rubber, acrylic, papercutting and paints commissioned by Blue Sea Development Company for “The Melody”, a cooperative development of apartments in the South Bronx. The works aim to celebrate the areas musical legacy. The Melody, 2011, metal decorative works by Beatrice Coron, 853 Macy Place, The Bronx, commissioned by Blue Sea Development. My brother and his wife are due to have their second baby this month, and so I thought I might use these inspirations and try to make a gift for them. 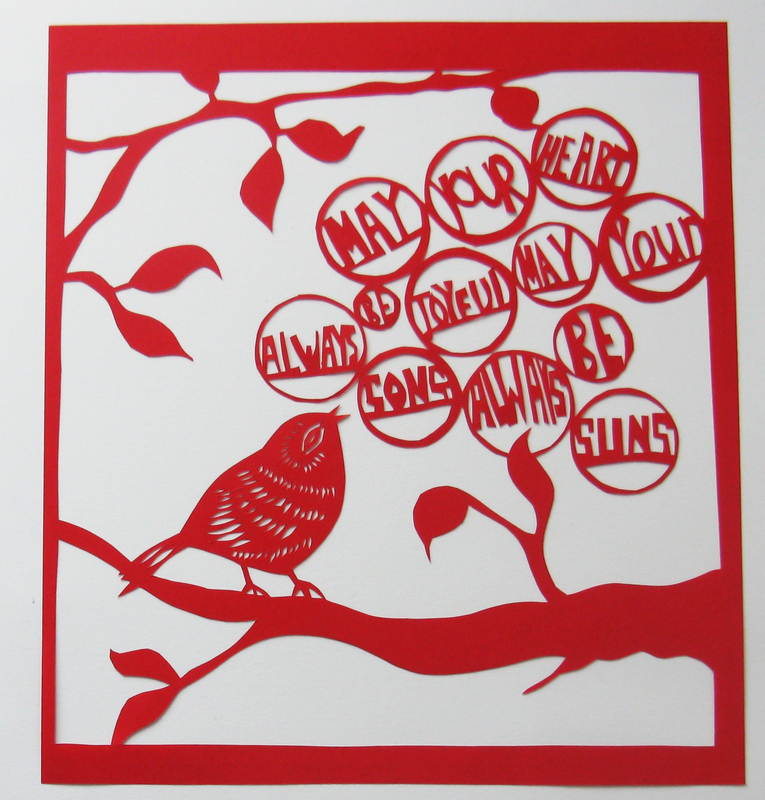 When their first little girl was born, I made a papercut for her, and so I thought I’d do the same again. 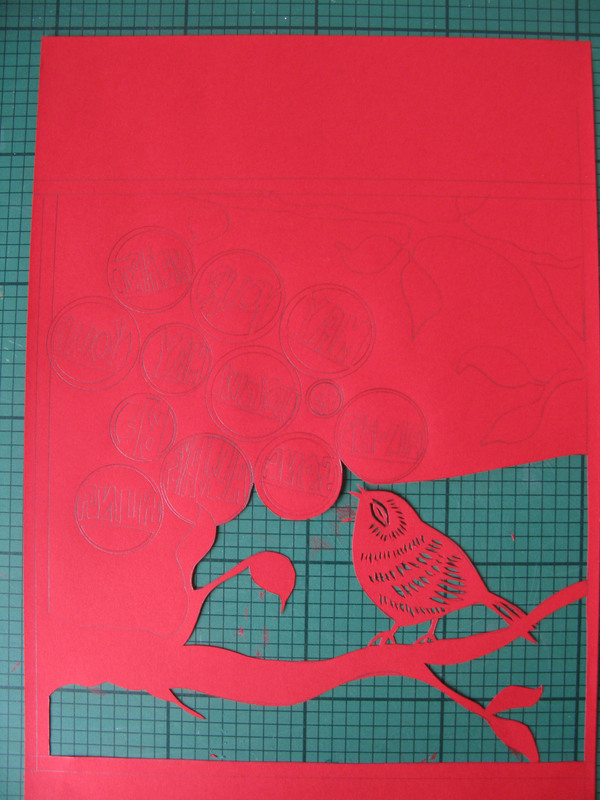 Stage 2 - beginning to cut - I did the small feather details first before cutting out the bird, to keep the paper stable. 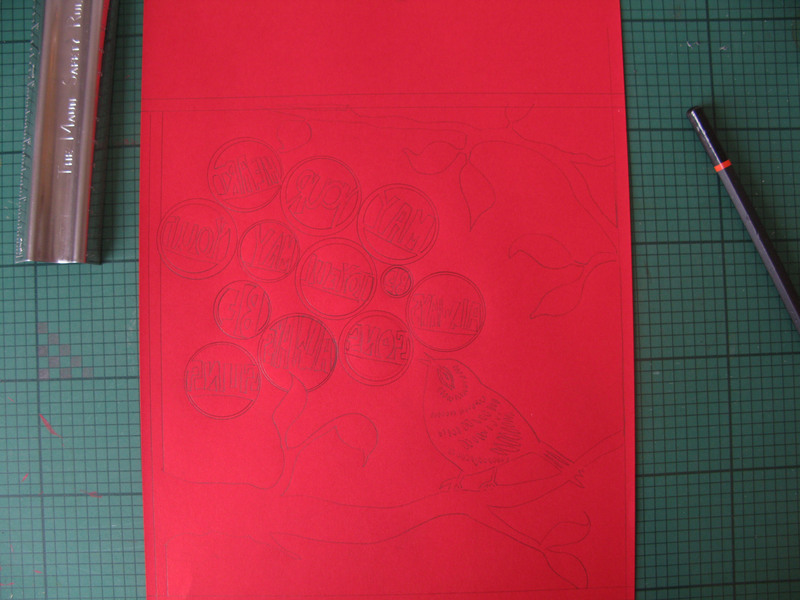 Stage 3 - getting there (shown here right way round) - the tension mounts, will I ruin it?! Done! I may actually add her name and date of birth on the bottom when she is born..I hope that she will like it and be able to keep it throughout her life..